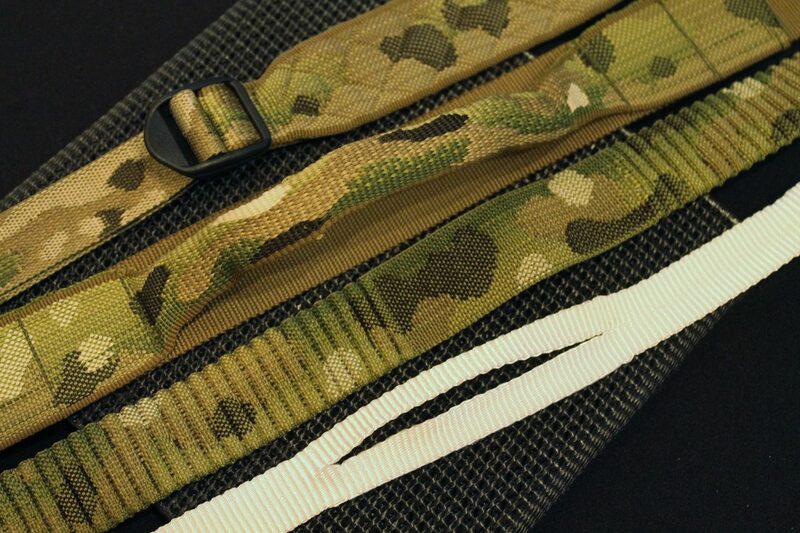 -1 to 2″ step down webbing in solid colours and camos, the ideal material for an awful lot of sling designs. -2″ to tubular transition that’s going to be perfect for the top grab handles on all sort of packs and bags. 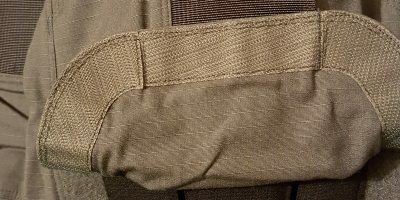 The tubular sections can be stuffed with foam or beans to create an ideal grab handle and eliminate a lot of sewing by comparison to the 2″ webbing folded in to a handle you see on the tops of a lot of bags right now. -Intermediate/transitional bungee webbing that can have preset lengths of bungee integrated with the standard, solid webbing straight off the loom. 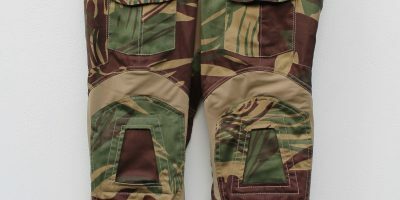 The lengths of solid and stretch within the fabric can be entirely tailored and custom ordered by the gear manufacturer. -Pre-split webbing that won’t rip or tear at the stress points where the splits end. The lengths of 2-part vs 1-piece solid webbing can again be entirely custom set by the purchaser. Ideal for chin strap manufacturers on helmets, again potentially cuts down on a huge amount of manufacture/sewing time. 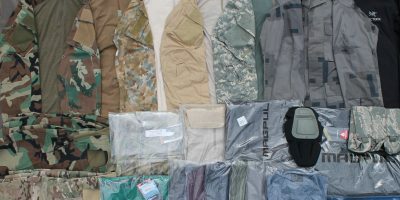 I’m really hoping to start seeing these materials appearing on kit that’s available soon. I know if I was going in to business making a sling or bag I’d be using a lot of this stuff.